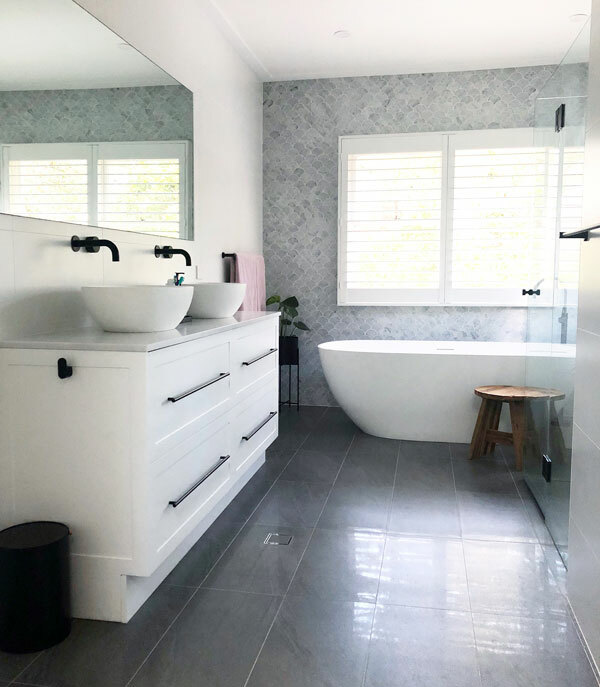 When we first purchased our home 9 years ago we did so with the intention of renovating our ensuite ASAP. 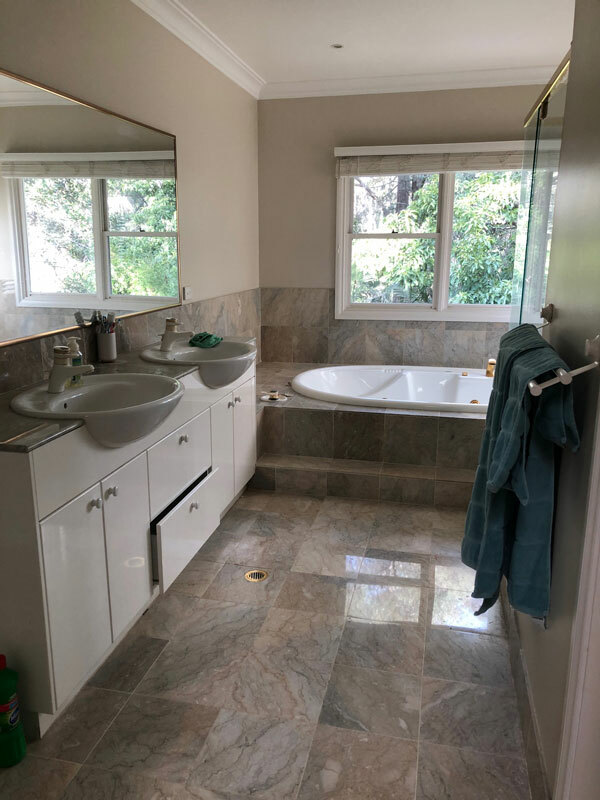 The bathroom was clearly expensive – marble tiles throughout, expensive fixtures and even a bidet (fancy bottom washer thingo). It just wasn’t our style though. Like a lot of families, our renovation plans were put to the side as soon as kids came along. The thought of renovating anything with young kids was all too difficult and we put it in the too hard basket. This was until hubby accidentally shattered the shower screen when he was trying to repair it……..and we took this as a sign! We agreed then and there it was time! First things first, we had to choose a company to help us renovate. Hubby headed to the yellow pages, we headed to the Hills District Mums Facebook Group! Past searches of posts on the topic revealed some good local companies. We also sought recommendations from friends. After receiving a few quotes we settled on Empire Bathrooms, a company owned by a couple of local dads. We spent a lot of time working out what our style was prior to heading to the shops. Hours were spent on Instagram. We also thought about functionality. It had to be easy to clean and floor tiles had to hide dark hair. 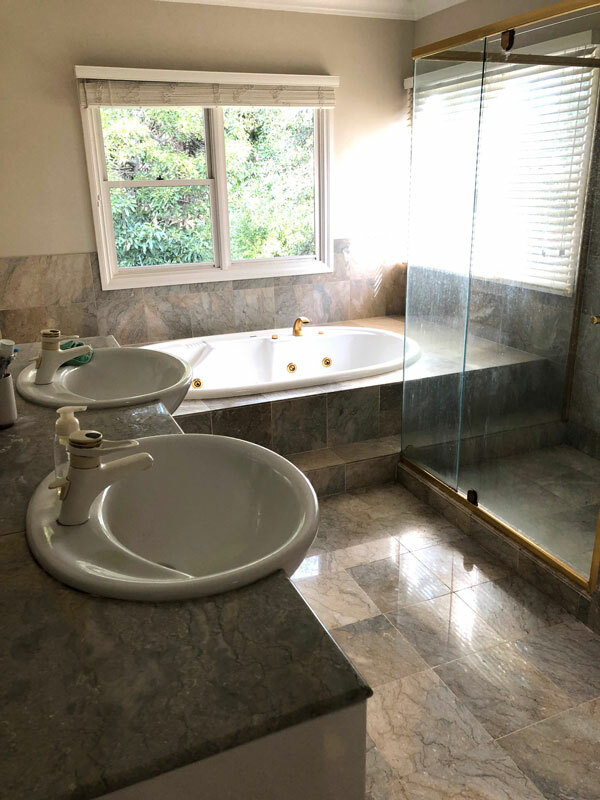 We wanted plenty of storage and on hubby’s list were sinks that were good for shaving (shallow bowls just make a massive mess). We loved round mirrors, but there’s a big height difference between hubby and me so one big mirror was more practical. We also wanted something that would age well and not date quickly as this will be it for the next 20 years! Once we had a clear vision in our head we headed to the showrooms on Victoria Avenue, Castle Hill. For us the tiles were easy but fixtures took a lot more time to decide on. The renovation itself took 3 weeks. 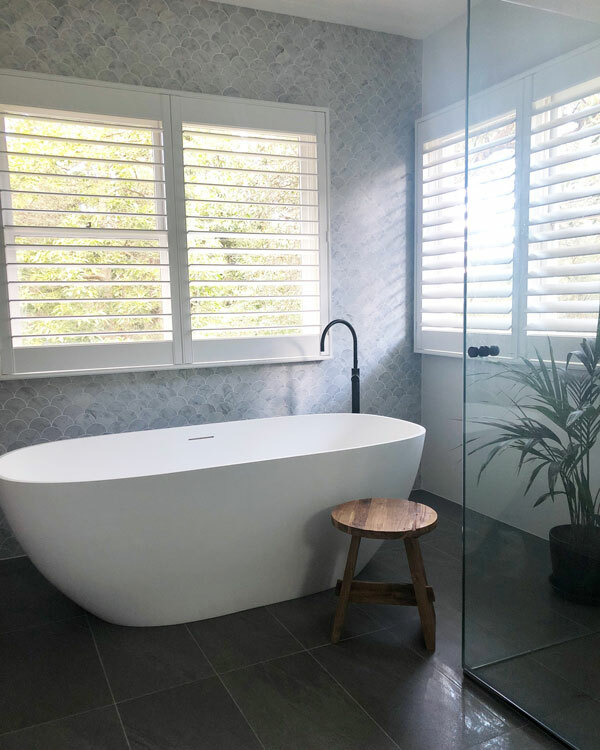 We ordered plantation shutters and they took 8 weeks to arrive. 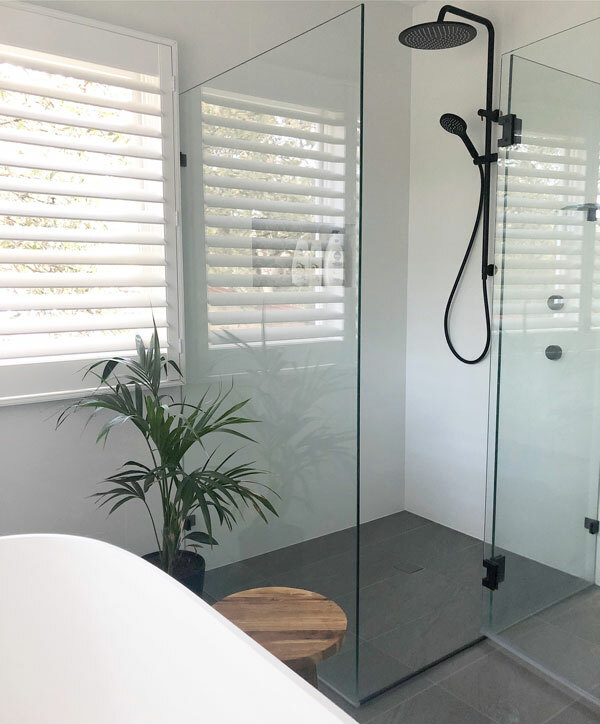 The whole process was way less intrusive than we had thought it would be and the team at Empire Bathrooms was brilliant – many are dads themselves and they were very respectful and clean, and always kept us up to date with progress. We’d recommend them to anyone. And as for the finished product, we couldn’t be happier. It wasn’t a budget renovation, however the costs were mainly in the fixtures we chose plus the marble feature wall. But given this will be it for the foreseeable future, it was worth it and we love our new ensuite!